I’m a major product junkie, it’s my job after all. However, a whole lot of boxes need to be ticked to get on my ‘love list’. As a Beauty Editor I’m sent products to test on a daily basis, something I found incredibly exciting when I started as a Beauty Assistant, aged 19 (while doing my Journalism degree at The London College of Fashion). Now, not so much. Does that sound ungrateful? It’s not meant to be. I merely mean that there are so many products on the market with ridiculously inflated claims, that I sometimes find myself rolling my eyes while reading a press release. There’s the moisturiser with the key ingredient (the one that makes you look ten years younger) that actually only makes up a few percent of the over all formulation. Or the test (that ‘proves’ how amazing the product is) that turns out not to be a clinical study but feedback from a small group of women. Oh and my favourite, the clinical studies that weren’t done on the final formulation of the serum, moisturiser, eye cream etc but only on one ingredient present. Ok, I’m sounding a bit bah humbug, but you get my drift – there is a lot of bumf to sift through when looking for the best products to add to your arsenal. So when I say I’m obsessed with the following beauty buys, I don’t make that statement lightly! I haven’t used a moisturiser in years! Yes, you read that correctly. Why? Well, firstly I have combination skin that tends to need hydration more than moisture. ‘Is there a difference?’, I hear you ask, yes. Hydration comes from water, while moisture comes from oils. I use hydrating serums, and an eye cream (because the skin around the eyes produces very little oil), but I’ve always tended to skip moisturising creams because come lunchtime my face ends up feeling greasy and looking shinny. Now that I’m on roaccutane (it’s keeping my hormonal spots at bay), my skin doesn’t produce the same levels of natural oil and so I need something that will quell the dryness but not aggravate my spot prone skin. Cue this potent mask come moisturiser. Packed with hyaluronic acid, it plumps up fine lines and leaves my skin looking dewy rather than greasy. The gel/cream hybrid also works as a well needed ‘shield’ between my skin and the everyday onslaught of environmental toxins that cause premature ageing. It’s super lightweight but offers the perfect amount of moisturisation and thanks to the multitude of peptides, antioxidants and anti-inflammatories, it soothes irritation and kick-starts collagen production to strengthen and firm. It was also designed with blemish prone skin in mind and demonstrated a 36 per cent reduction in (non-inflammatory) acne lesions in clinical trials, after just four weeks of daily use. Some people get scared when you talk about acids in skincare, but not me – the more the better. I especially love the kind that gently but effectively exfoliate the skin for a smoother, clearer and softer complexion. So, when I discovered that this lotion did for the body what some of my favourite serums do for the face, I had to try it. Ever heard of the term chicken skin? It’s not the nicest phrase but Keratosis Pilaris is a bit of a tongue twister. Whatever you want to call the bumpy skin that develops most commonly on the back of arms and in my case on my bum (yes I said that, and yes it’s common too), it’s a rash that is really hard to get rid of. Cream alone won’t work, you need acids to slough of dead skin cells regularly, and this does an amazing job! Containing 10 per cent AHA glycolic acid with some antioxidant rich polyhydroxy acids to boot, I noticed a difference after only a week. I love that it helps with scaring caused by shaving etc and is also the perfect product to stop ingrown hairs. I honestly can’t recommend this enough. However, if you are prone to dry skin especially during the winter season you may find you need to apply a body cream on top. This isn’t out till March but I’ve been lucky enough to get my hands on it and I’ve not touched my usual cleanser since. Vitamin C is one of my favourite anti-oxidants as it slows skin damage from sun exposure and environmental pollutants, but like my go-to acids it helps brighten the skin by reducing hyperpigmentation (which I have from a brief teenage obsession with tanning beds and scaring left form years of breakouts). What makes this ingredient challenging to use within skincare is the fact that it loses its potency pretty quickly once exposed to the elements, hence the DIY nature of this cleanser. Designed to be used as a treatment for the skin over the course of a month (that’s a whole skin cell cycle), you pour the single-use sachet into your palm mix with water creating a lather, before massaging it into the skin and leaving it on for at least a minute before rinsing it off. This method and formula guarantees the potency of your Vitamin C isn’t lost as the whole sachet is used upon opening – clever. And how does my skin look after twice daily use? Most definitely brighter and smoother. If you asked me what’s the one thing you could do to prevent skin ageing/damage I would say wear an SPF, as high as possible. Skincare is all well and good, but protecting the skin from UVA/UVB and other rays will make the most impact on your skin. But I don’t blame people for skipping a daily layer of the stuff, especially when so many formulations are too greasy, heavy, pore clogging etc. I am always on the hunt for light textured, non-clogging varieties and I’ve hit the jackpot with this. Recommended to me by uber talented facialist Debbie Thomas (you can buy it at her Chelsea clinic or online), when I tried one of her express facials at Harvey Nichols, from £69, (20 minutes, no downtime and tailored to suit a myriad of skin concerns), I’ve been an avid user for the last two months. 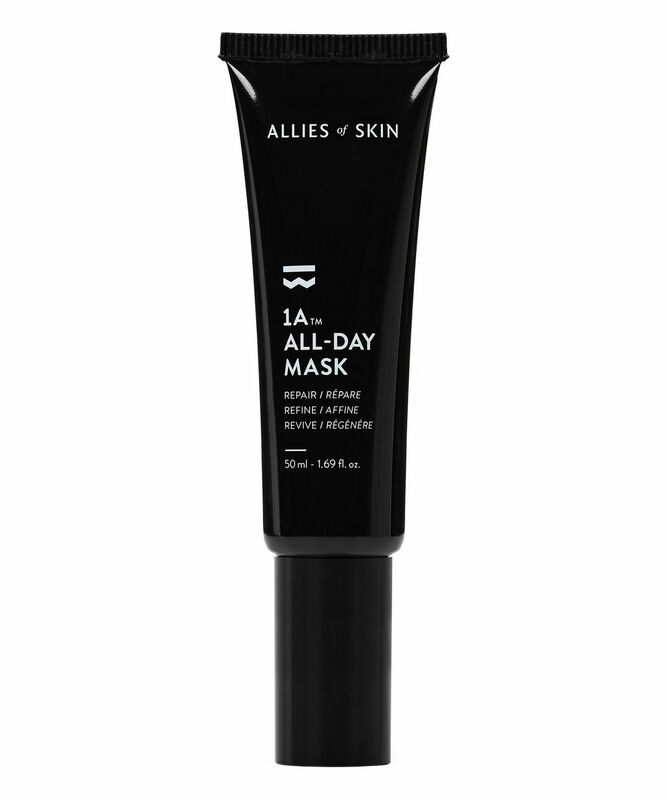 It’s super light in texture, works under make-up and I’ve even worn it during a gym session (which isn’t ideal) and not got the usual rash I get when I wear sun protection in the heat. If you want to look and feel your best sleep is an essential component. I don’t function well when I don’t get enough zzzz’s (who does!?). Thankfully I discovered the This Works Deep Sleep range a few years ago and have been obsessed with it ever since. I began by using the Deep Sleep Pillow Spray, £16, then the Plus version, £25, and now I tag team the Plus with the diffuser. This high-tech sleep aid warms the Super Blend Oil, £18, and releases the scent over the course of an hour, it then cleverly switches itself off. I fall asleep much more quickly and deeply when breathing in the potent mix of wood and floral notes, and notice the difference in the quality of my sleep when I don’t use them. I also look much better come morning, they don’t call it beauty sleep for nothing!